Maxis are one of my favorite dresses to wear in the summertime. They can be styled in many ways and worn on countless occasions. I bought this one from Topshop last year and have gotten so much wear out of it. Because it's black, (my color of choice), and a simple silhouette, it goes with anything, day or night. 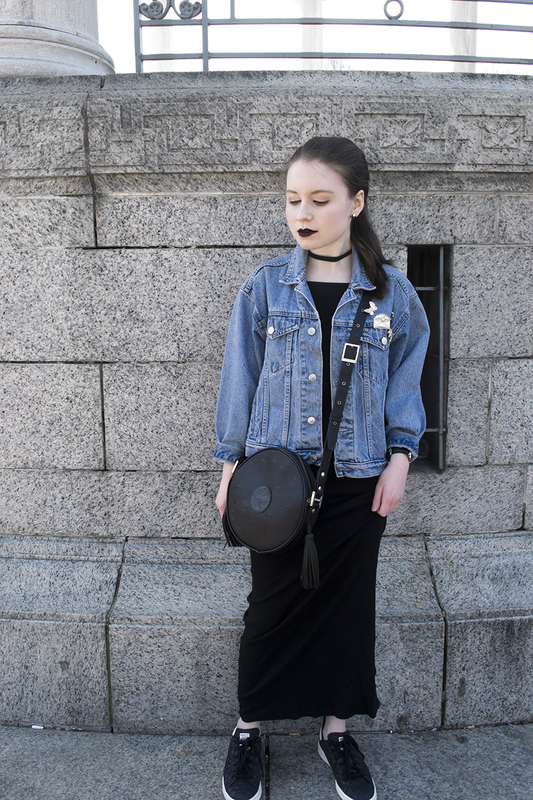 I styled this maxi with a '90s grunge vibe. My thrifted denim jacket I've been decorating with pins and MCM tambourine bag add vintage elements. 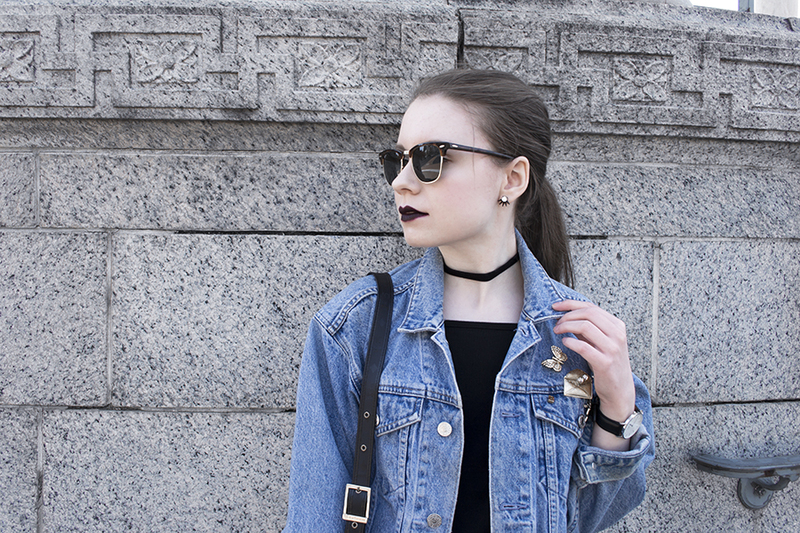 A black velvet choker, Ray-Bans, and 'Stan Smiths' keep the look edgy. 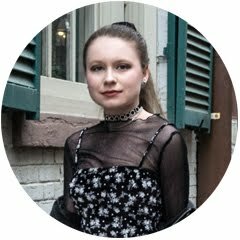 My '90s look wouldn't be complete without dark, matte lipstick. I'm wearing MAC VIVA GLAM Ariana Grande. Be fierce like Furiosa and take on hot summer days in a rad, mad maxi dress. I love that jacket! 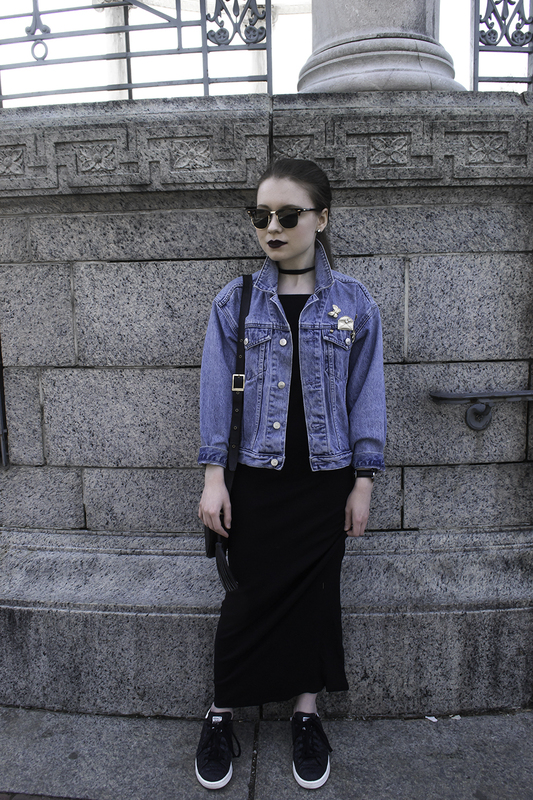 I am currently obsessed with the oversized denim and I think that lipstick is so cool on you! I wish I could pull off that color!